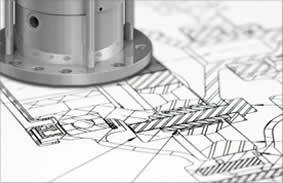 We specialise in the engineering, design, manufacture and application of mechanical seals. Triseal, in conjunction with a number of international seal companies including Scenic Precise EKK Industries and FlexaSeal have formed an alliance which offers all types of industry, both local and national, state of the art sealing technology that meets and exceeds the most demanding mechanical seal specifications and requirements. Since commencement of trading 1n 1994 Triseal has expanded its Western Australian operations to offer our customers a fully equipped manufacturing and service centre located in Perth. Our service centre deals with all facets of the mechanical seal industry. From the initial inquiry and application through to design manufacturing and rehabilitation of our product. Triseal offers a unique pump rebuild and engineering upgrade to the Fire & Emergency Services offering complete mechanical seal upgrade kits for a variety of pump brands including Darley, Waterous, Roenbauer & Godiva, see our products section under fire pumps. Triseal carries a comprehensive range of stock at our Perth service centre. We also design and manufacture our own range of mineral processing and slurry seal arrangements to suit Warman and similar pump brands. Triseal also offers on site consulting services from experienced sales engineers throughout Australia. Triseal is a leading engineering company specialising in the design, manufacture and application of mechanical seals and associated rotating equipment.